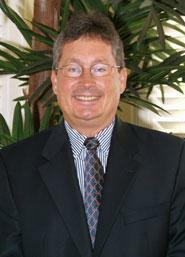 Sam was hired by the firm of McRoberts, Warner, Fox & Seeley when he graduated from law school in 1979. The McRoberts, Warner firm split while Sam was studying for the bar and Sam joined the senior partner in the firm known as McRoberts & Steger, P.A. Sam’s initial experience at this firm included representation of Stuart National Bank which became Florida National Bank, First Union National Bank, Wachovia National Bank and Wells Fargo National Bank. Sam’s representation of the bank included residential and commercial loan closings, bank contracts and collections and representation of the trust department. Sam’s office was located in the bank building across from the Martin County Courthouse for twenty-five (25) years. In 2005, the firm relocated to its office building on U.S. 1 just south of the Roosevelt Bridge. As the banking industry evolved through mergers and related issues, Sam’s practice gradually transitioned to representation of families in wills, trusts, estates, real property and business transactions and related litigation. 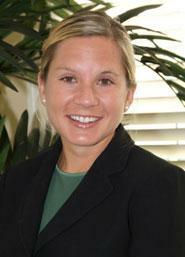 Sam’s wife, Karen, joined him in 1988 and, since that time, the firm has been known as Steger & Steger, P.A. which is now doing business as Steger Law. Unlike Karen and Lori, the farthest that Sam has run in a marathon is the last 5.2 miles of the Boston Marathon to provide support to Karen’s finishing kick. Karen gained valuable trial experience in the first year of her career at the public defender’s office. In 1980, Karen joined a private law a firm in Stuart, Florida which eventually became known as McManus, Stewart, Ferraro & Steger, P.A. where Karen’s practice included both criminal and family law. By the time that Karen merged her practice with Sams in 1988 as Steger & Steger, P.A., she was concentrating almost exclusively in family law. Karen has been involved in many high profile cases throughout her career which have been profiled in the Media including those illustrated in the News articles contained on this site. Karen has maintained her sanity by training for her completion of approximately 38 marathons including approximately 13 successful qualification for and completions of the Boston Marathon. Some of the news articles concerning her participation in the Boston Marathon are illustrated in the News articles contained on this site. Lori absorbed the trial and running competitiveness from her mother at an early age. She was President of the Debate Team in high school and winner of many trophies including the prestigious Florida Blue Key Round Robin (invitation only) and general tournaments in the same year. 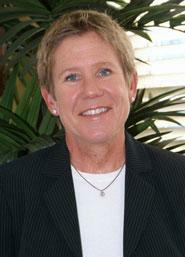 As a runner, Lori has won several local races, and has completed several marathons including two Boston Marathons. Lori worked at law firms while attending the Florida State University Law School and joined the firm of Steger & Steger, P.A. upon graduation in 2006. While in law school, Lori met her husband Jacob Ensor (who also practices law in the Stuart, Florida), and they were married in 2007. Lori’s practice is focused primarily on family law and she has been involved in many mediations and trials in this area. Lori and Jacob live in Palm City, Florida where they have begun a family which now includes four (4) daughters.